"I think that in another life, I would reincarnate here once again." - Martin Luque, current owner of Casa Gilardi. Designed originally and intently as a bachelor pad for two men, Casa Gilardi is now a home to a family with three sons and two large and very friendly dogs. Things that can adapt, survive...and if you want to see the home as close as you can to in-person, this movie from Cesar Pesquera via the Dezeen website and created for the design-video channel Nowness is a beautiful place to start. I was incredibly fortunate to see this home. 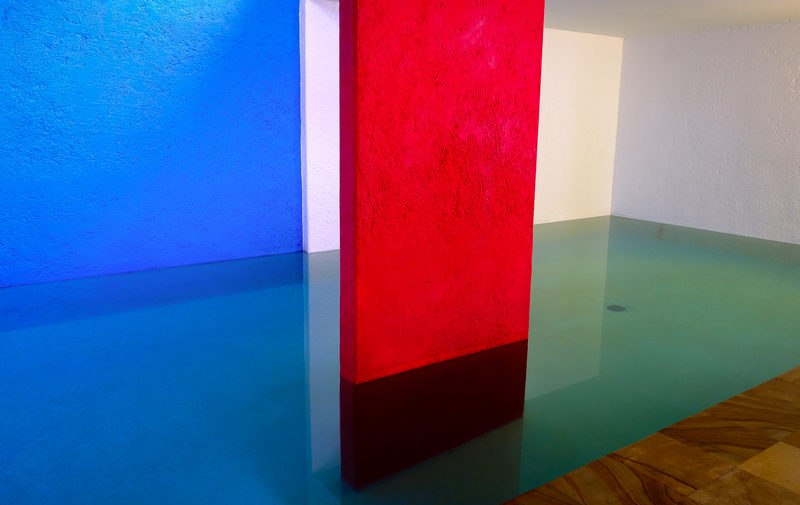 After paying for the tourist's-tour of Pritker Prize winner Luis Barragan's personal home and studio, our guide recognized that a few of us had backgrounds in architecture and design and asked if I'd like to walk with him down to Casa Gilardi afterwards as he was dropping something off there for the homeowners. We walked the ten blocks or so and were then invited in by the Luque family who reside there now. Two of the three sons were away, but the youngest son, who is studying architecture in Mexico City, was home and we had a long chat about a few things while showing me around. We talked about architecture, the responsibilities designers should feel to the planet and the people as opposed to just their own ego, the mundane aspects and bullshittery of building and renovating homes like anyone in the field would do over coffee, and of course American politics. I really did feel incredibly lucky and fortunate to be inside the home while they were there, and then also being given a tour and explanations from an actual homeowner and not solely being given the tourist schpiel. 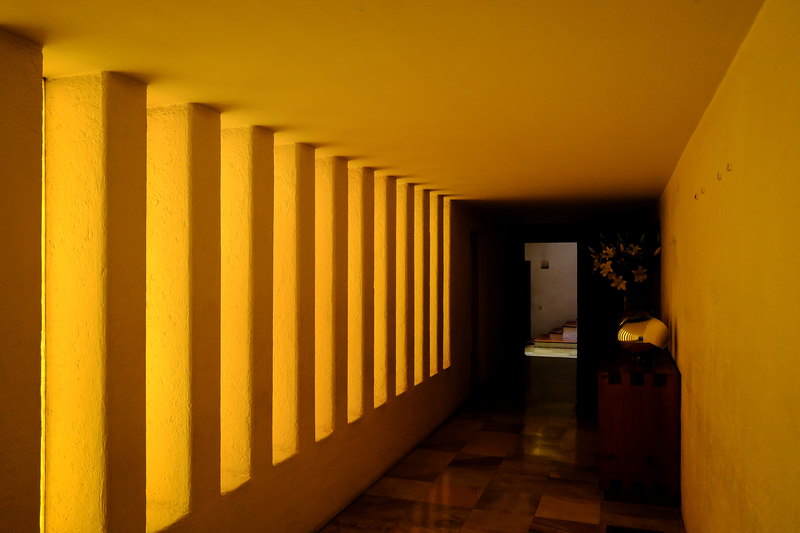 Barragan designed the home to be specifically not for children. The staircases are open, no railings, and the drops are steep and high. The most famous aspect of the home is the swimming pool located at the end of the long entry hall - most definitely not a child friendly placement. 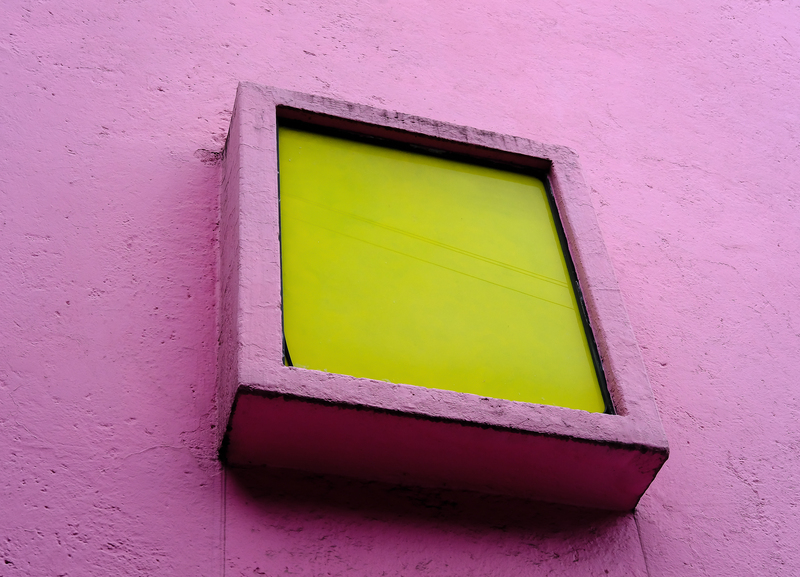 Open air patios on the top of the home; bright colors; virtually no means to see the busy street from inside the home yet somehow maintaining a feeling of nature; shapes, sizes, placements. 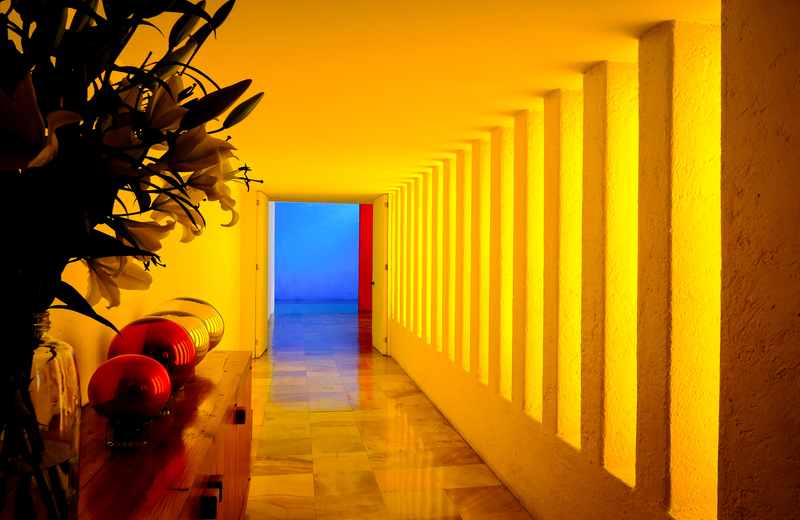 This was Barragan's final project, and was the only home he ever designed and built in coordination with the clients. 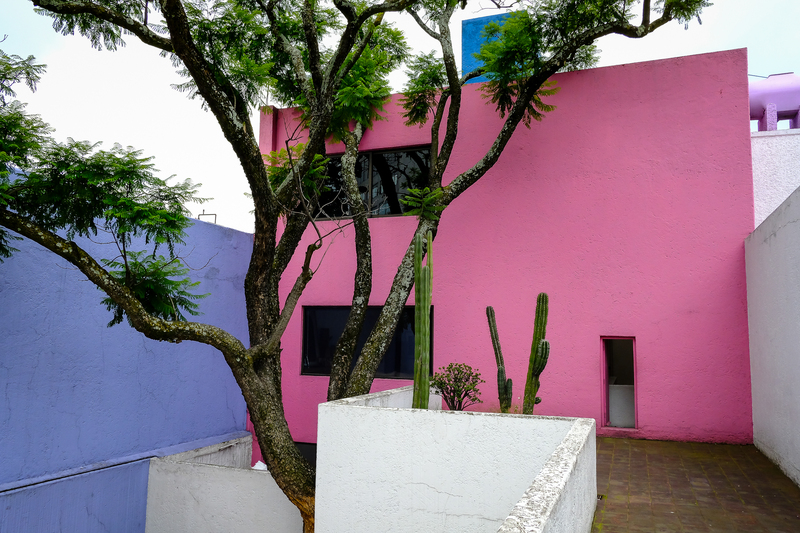 Prior to this, when you hired Luis Barragan to build you a home, you received word a couple years later that your home was now complete. Talk about a dream working-relationship! The part of this home I found the most intriguing had little to do with the physcial, tangible parts of the building, however. What I found most interesting was the nature v. nurture ongoing that is taking place with the children of the home. While both parents were business minded and have had successful business careers, all three of the children, having grown up in Casa Gilardi, are now pursuing careers in the Arts: one in architecture, one in painting, and one in photography. 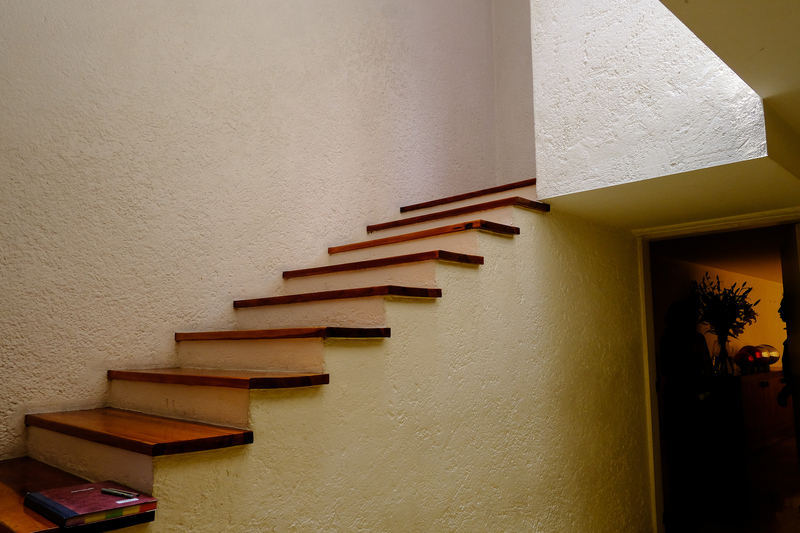 I thought this spoke in bounds to how influential a home can be - and consequently how influential architecture and design can be, even subconsciously - to a person's direction in life.